Paramount Pictures has released a new international poster for Star Trek Into Darkness and this time Benedict Cumberbatch is front and center. You can view it below, and also be sure to check out 12 new photos from the sequel by clicking here. 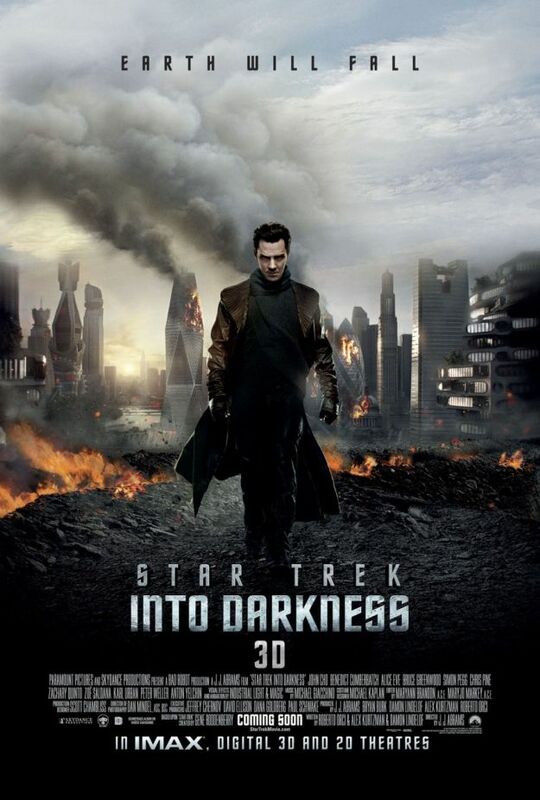 Star Trek Into Darkness hits IMAX 3D theaters on May 15 and conventional theaters on May 17. The anticipated sequel stars Chris Pine, Zachary Quinto, Zoe Saldana, Karl Urban, John Cho, Bruce Greenwood, Simon Pegg, Anton Yelchin, Benedict Cumberbatch, Alice Eve and Peter Weller.